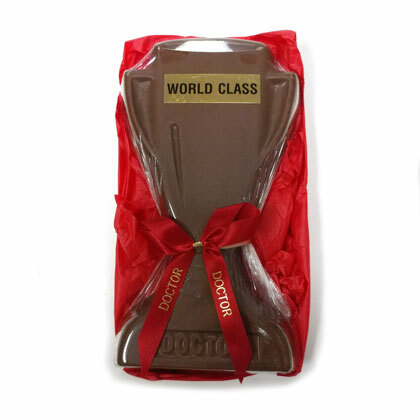 World class doctor solid milk chocolate trophy. Approx. 7 inches tall and 4 inches wide. 8 oz. Kosher Dairy under the Star-K Dairy Supervision.